At the end of our first trail (the royal canal way), we were not too far from Carl's parent's home, which was kind-of the plan. It had been a year since we'd done much walking, and we knew there would be things we wanted to change in regards to what we brought or how we packed. Also, being Carl's birthday on Day 6, it was nice to be able to have a cake and blow out candles. The real reason for me writing a blog post about our repacking days however, has nothing to do with the repacking part. 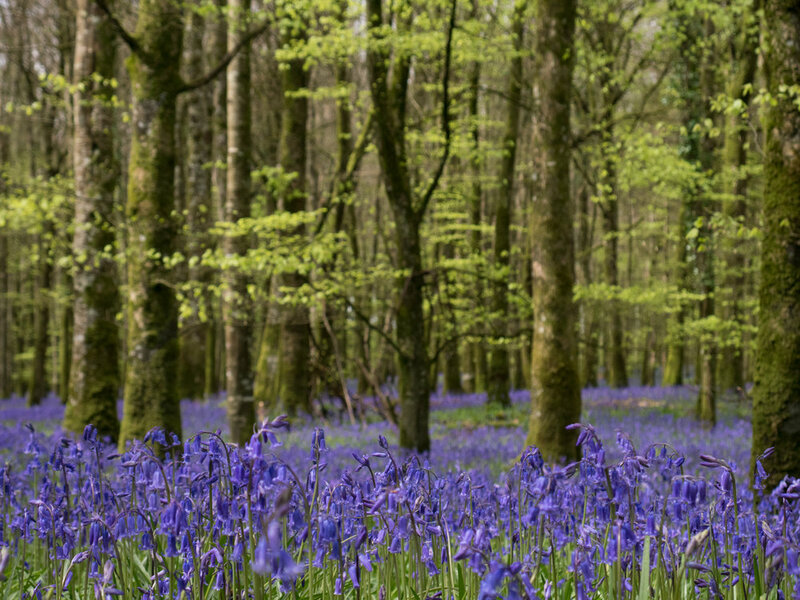 Because Roscommon has a bluebell forest. It's probably the most fairybook thing I've ever seen, and it was amazing. So even though Day 8 was a rest day, we took a short walk through the woods - and when I say walk, I mean that I would go 10 paces and then stop to take another picture.